The use of EDM machining is so essential that it is almost impossible to imagine a modern injection mold making shop without an EDM machine. Many of today’s products simply could not be produced without it. Think of all the cell phones, calculators, IPods, cameras, medical devices and the endless amounts of high tech equipment that are made out of plastic! Besides the essential role it plays in the mold making process, EDM is used for the precision machining of medical parts, aerospace parts, and other highly specialized products. Electrical discharge machining, including Wire EDM, has also completely changed the way molds are made, as well as other specialized parts. EDM machining is certainly not for everyone; just ask the operators what their day-to-day life is like in the shop! What is an EDM operator job like? You might say that you need a particular type of personality to excel at EDMing. It helps to have a healthy dose of OCD at work, a tough skin, and a willingness to constantly learn new things. 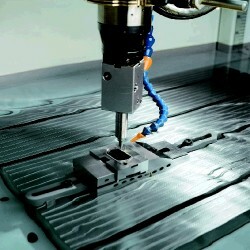 EDM is different type of CNC machining, for sure. The OCD part is easy to understand because of the innumerable details involved with set-ups, burning parameters, multiple projects running simultaneously and constant interruptions. The tough skin is because of the number of mistakes that just naturally occur in electrical discharge machining. It seems that you can perform 99 steps correctly and 1 incorrectly, which will often cause the part to be scrapped or at least need to be welded and reworked. The willingness to learn new technologies is because this field is constantly changing. 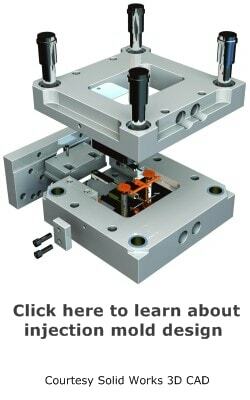 Newer machines require more learning; mold designs are increasingly complex with more and more details being crammed into one component. Software programs are constantly updated, requiring new skills that have real-world applications. EDM machining can be a stressful occupation, to put it mildly. It may not appear difficult, but the stress levels can be exhausting. Nearly every mold component that is EDM’d is in the final stages of manufacturing and the slightest mistake can become very costly, very quickly. There is nothing quite like the feeling of coming to work in the morning and seeing your supervisor leaning over the EDM machine staring at your workpiece. Then you find out that you had mixed up two locations and the completely finished cavity block is now completely useless! Aaagggghhh! Back in the early days, electrodes were held by any number of methods: V-blocks, angle plates, vises, and special fixtures. 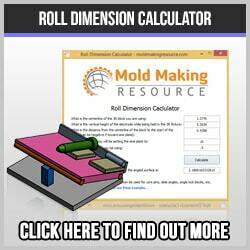 It worked, and many molds have been built using these methods. EDM has come out of the black art era and become an indespensable machine tool in the modern injection mold making shop. Some technical schools have excellent programs that teach basic and advanced EDMing and programming. 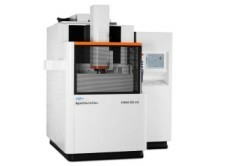 The skilled operator/mold maker who can successful run the EDM department is in high demand and probably will be for years to come. Any company who has such a person should treat them well and pay them well.